Toccata Classics has been promoting the music of Estonian composers since its early days, as I personally was, too, as a writer, reviewer, activist and so on long before the label was founded. The only Estonian composer to have hit the classical big time is Arvo Pärt, of course, but his dominance is something of a two-edged sword, since it has tended to obscure the music of other Estonian composers with just as much to say. I first encountered the music of another Pärt, Pärt Uusberg, online some years ago, and was captivated by its tranquil beauty. I therefore required no further persuasion when, at a meeting at Classical:Next in Rotterdam, Kristel Üksvärav suggested an album of Uusberg as the first collaboration between Toccata Classics and Collegium Musicale, the choir she runs and her husband conducts. But I had not yet met the composer. Two years ago I was in Tallinn to receive the Heino Eller Award for my services to Estonian music and had just finished dinner with a friend in the Vapiano restaurant in the centre of town when a voice in my ear asked if I might be Martin Anderson. The question came from Pärt Uusberg, who had been sitting at the table behind me, and whose manner turned out to be as charming and as understated as his music. 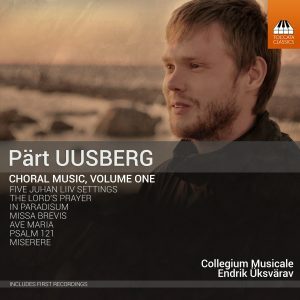 That Collegium Musicale album of Uusberg choral works is beginning to attract the kind of attention I hoped it might, and so I was pleased to be offered this short interview with Pärt commissioned for the Naxos Deutschland blog. Thanks to Burkhard Schäfter and to Rainer Aschemaier of Naxos Deutschland for sending it to me. 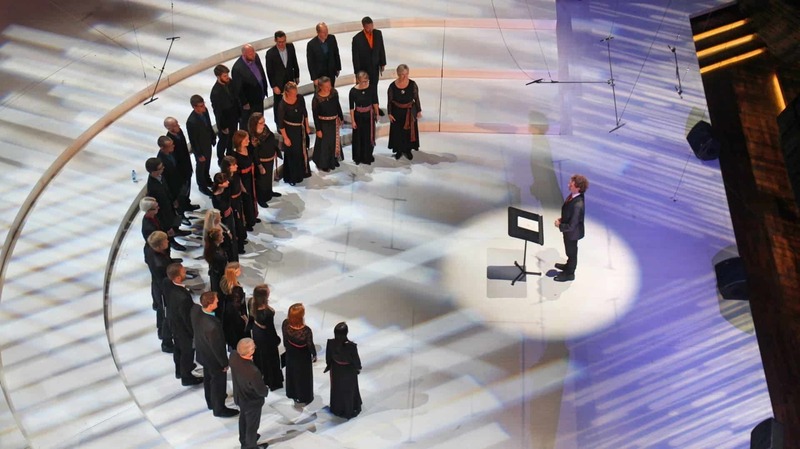 Pärt, choir music has a very special tradition and importance in Estonia. Your music sounds very ’Baltic’ to my ears, if I may say so. To what extent do your choral works fit into this tradition? What does choral music and the history of your little country mean to you? I have been involved with choral music since I was a baby, because my mother is a choral conductor, conducting children and youth choirs in a small town called Rapla. I was often together with her in rehearsals and started soon singing by myself in a children choir. Since then I sung in different choirs and have been part of lots of choir rehearsals, camps and festivals. 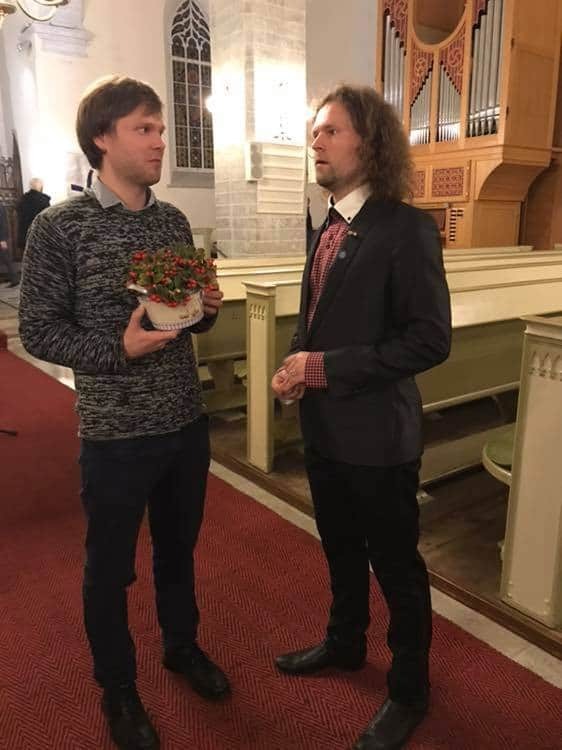 Of course, I have been also involved with Estonian song celebrations; so there has always been a lot of choral music in my life very naturally, so to speak. 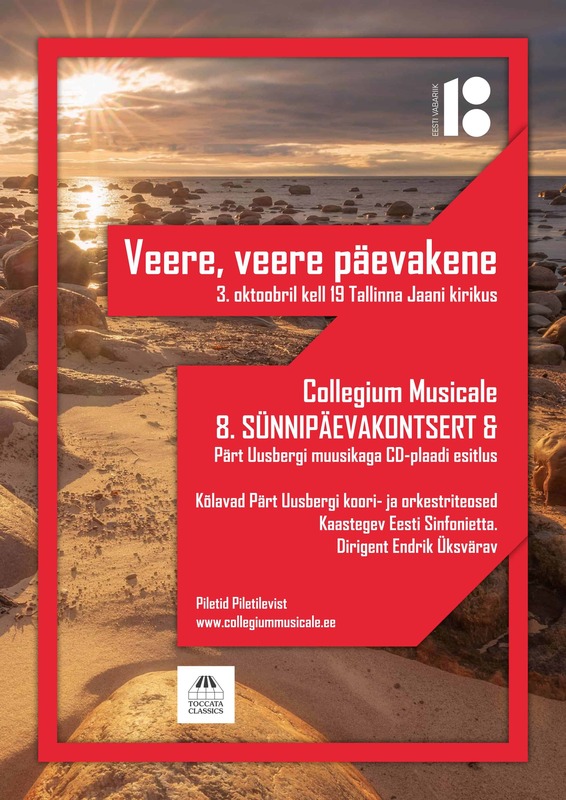 I also grew up at the time when Tõnu Kaljuste performed and recorded a lot of choral music by Arvo Pärt and Veljo Tormis with the Estonian Philarmonic Chamber Choir, and I sang their music also by myself in different choirs. There are other Estonian composers whose choral music has inspired me a lot: Mart Saar, Cyrillus Kreek, Gustav Ernesaks, Ester Mägi, Urmas Sisask, Tõnu Kõrvits. Many of the works to be heard on the new album are of a spiritual nature, or are at least in some way spiritual. Does choral music need this spiritual source (to put it in that way) to touch the hearts of the listeners? I have felt close to sacred music since I was a child: I played the trumpet in a church brass band and often sang in church with different choirs. Of course, there are different ways to look at choiral music, but for me there is something really heavenly in sound of a choir singing in church. I feel even that in that colour, and also in that mental space, you can hear (and sense) in church that choral music could sometimes reach the same depth as symphonic music. It’s a bit difficult to express it in words, but I have allways felt close with sacred choral music and the older I get, I feel, that it even grows on me (I like the works Renaissance masters – Tallis, Palestrina, Victoria – very much, but also Mendelssohn, Bruckner or Rachmaninov). 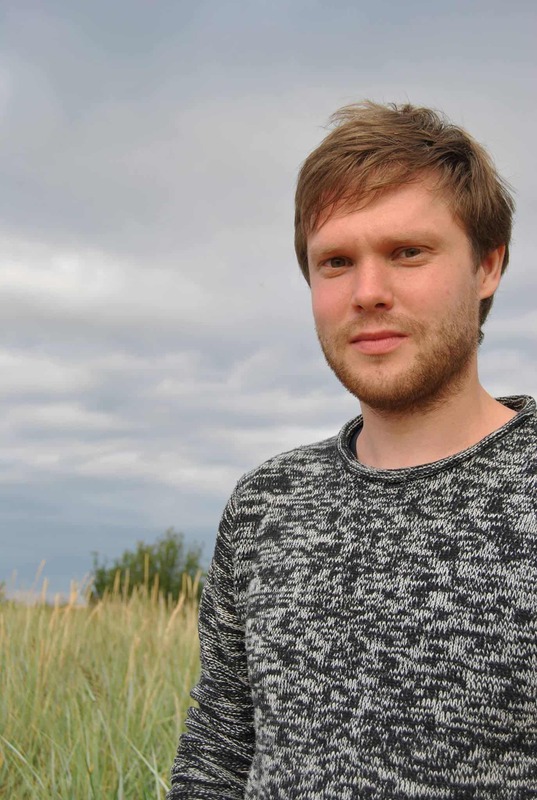 Being Estonian, I also feel close to the Estonian language and nature – so I feel also very close to Mart Saar, Ester Mägi and Veljo Tormis, in whose music I hear a lot of Estonian nature. Just now I have been writing both, sacred music (mainly in Latin) and a lot of music to different Estonian poets, who somehow have pulled together in their texts Estonian nature and existential and spiritual thoughts about life. 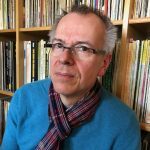 A completely different question: what can you tell us about the Collegium Musicale (still relatively unknown further afield) and their conductor Endrik Üsvärav? How did the collaboration come about, and how did this recording come about in the first place? Collegium Musicale is one of the best semiprofessional choirs in Estonia, that was founded by a singer and conductor Endrik Üksvärav. They did a programme with Arvo Pärt and my music, after that they decided to release a concert recording with it. Martin Anderson, the head of Toccata Classics, happened to hear that recording and so was happy to accept when Collegium Musicale proposed to record an album with my music. Last question: what can you tell us about the tonal language you use in your choral music? Atonality is not your thing, but your works don’t sound unfashionable, but contemporary in a perhaps very Estonian way. I think that you can answer that question by yourself. I just write music. I don’t use anything, I just write. We all have very different backround in our lives and probably everything that we experience influences us. I was born in a very small town, Rapla, and I had a very colourful and, in a way, idyllic childhood, growing up in a very loving family with my two older brothers. Music, theatre (one of my brothers is a theatre director, writer and actor), psychology (my mum is a choral conductor and psychologist, my elder brother is a scientist in psychology) and visual arts (my father paints, also works with animated films and also direct plays in school theatre) were part of my everyday life. I feel that this kind of backround has influenced me the most and I just want to express my inner world in music. And of course it also changes a bit all the time, because the experiences change and I change…. Later, studying music more professionally, I of course got to know more about different compositional styles and aesthetics, but for me composing is not so much science than just something very intimate and natural. A bit like an enduring dialogue with my soul: sometimes music ’tells’ you much more about the changes inside you than words can, and it’s just a very interesting field to deal with and I’m very thankful that I am able to write music. Dr Burkhard Schäfer is a freelance music journalist from Ulm in southern Germany. He studied modern German literature and philosophy in Tübingen and Vienna. Ten years ago he founded the ’Redaktionsbüro Schäfer’ (Schäfer Editorial Office), where the main focus is on classical music, especially organ, choir and chamber music.